Three days into the Antigua Bermuda Race, strategic decisions have been few, but that is about to change, the organisers said today. “The fleet will soon feel the effects of a low pressure system to the east and whilst there should be no big difference in wind strength, the likelihood is that the wind is due to veer to the south,” a spokesperson said. “The strategic decision will be whether to stay near the rhumb line and reduce the number of miles sailed, or heat up the angle of attack and head northwest. 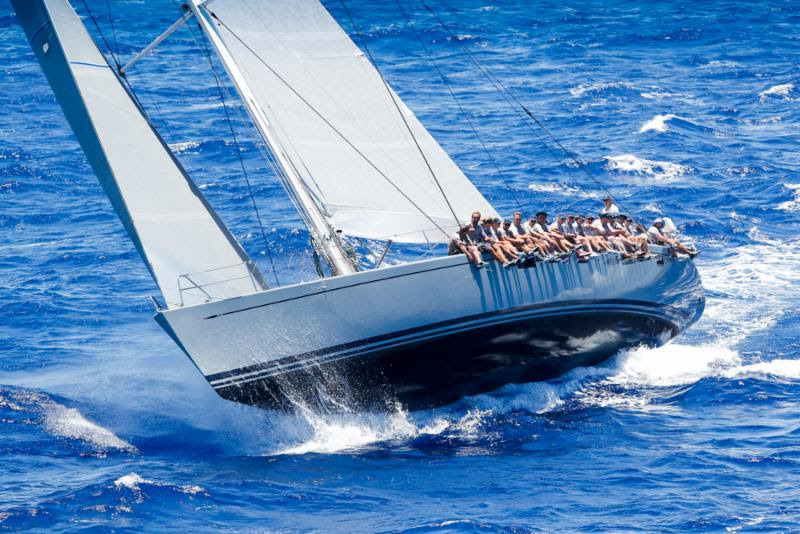 The Antigua Bermuda Race is entering a crucial stage. The reward for the teams that put in a big effort now will be to catch the breeze about 100 miles to the north, but the fresh breeze is moving east and those who fall behind now will miss the opportunity. 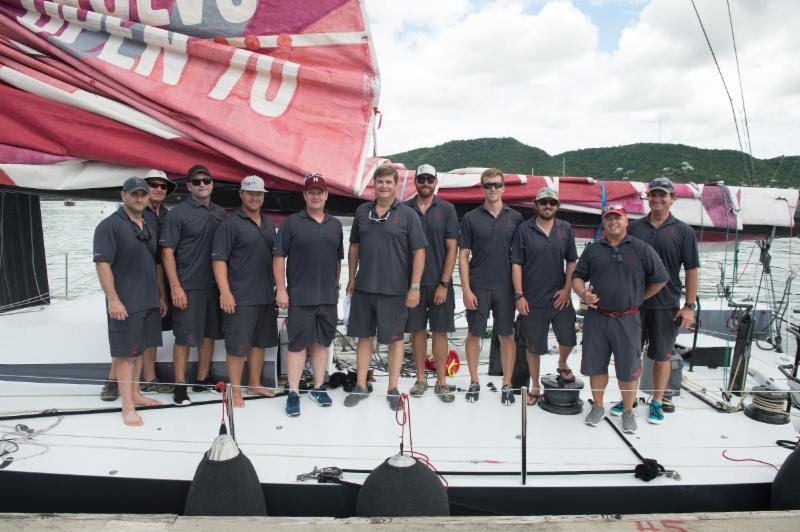 “Two of the fastest yachts in the race continue to impress; leading on the water is Stephen Murray Jr.’s American Volvo 70, Warrior ahead of British Swan 82, Stay Calm, skippered by Lloyd Kyte. In the last 24 hours Warrior has not only passed Stay Calm, but extended their lead by 43 miles. 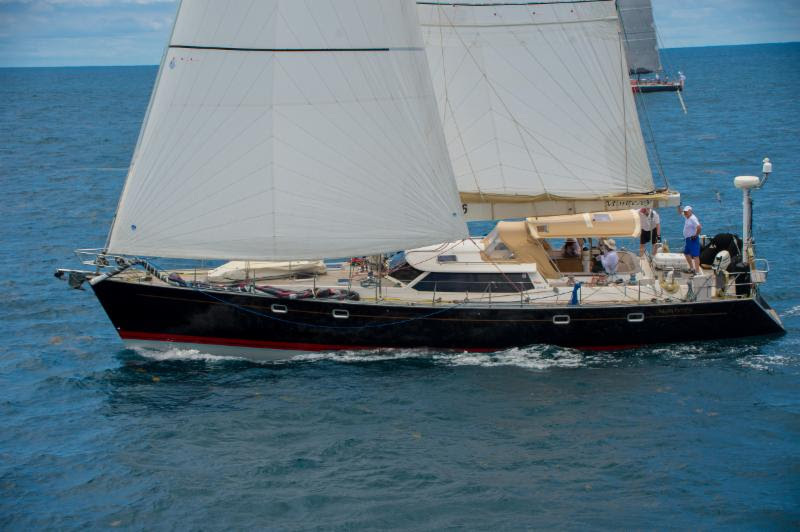 “Don Macpherson’s American Swan 90, Freya has also had a spectacular 24-hour run and is now level with Stay Calm. These three powerful yachts are the furthest west of the entire fleet and will hope to get the fresh breeze before the yachts to the east. 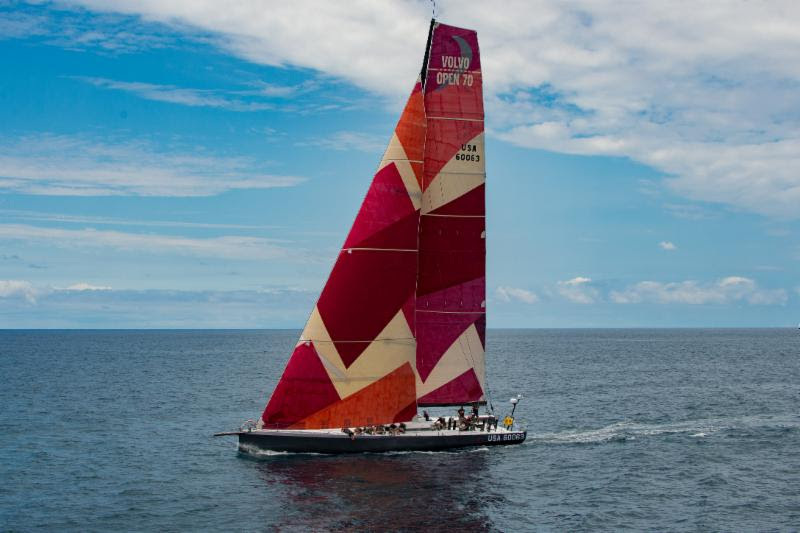 “After IRC time correction, Stay Calm is estimated to be leading the race by a big margin. Jeremi Jablonski’s Avanti is some 60 miles behind Simon & Nancy De Pietro’s Irish CNB 76, Lilla. However, after IRC time correction, the two yachts are vying for second place, estimated to be just a few seconds apart on corrected time. “For the CSA class yachts are permitted to motor but must take a penalty for their engine hours at the finish. 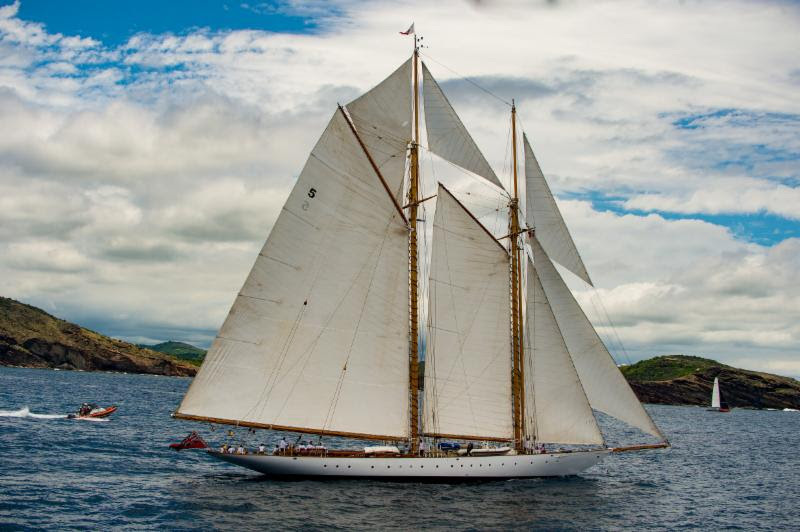 The magnificent schooner Eleonora leads on the water in CSA Classics, with Carlo Falcone’s Mariella second and Spirit of Bermuda third. 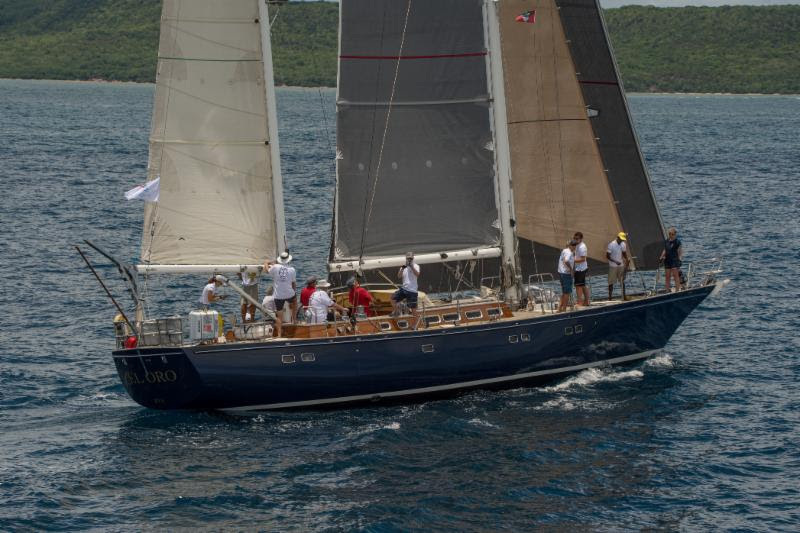 “Three days into the Antigua Bermuda Race and the fleet are settling into the rhythm of life at sea. Work revolves around the watch system with the on-watch at work, while the others rest – there is no 9-to-5 in the Atlantic Ocean. “El Oro, the 1973 classic yacht still has 650 miles to go, but is estimated to be doing well after time correction and moral on board is excellent. 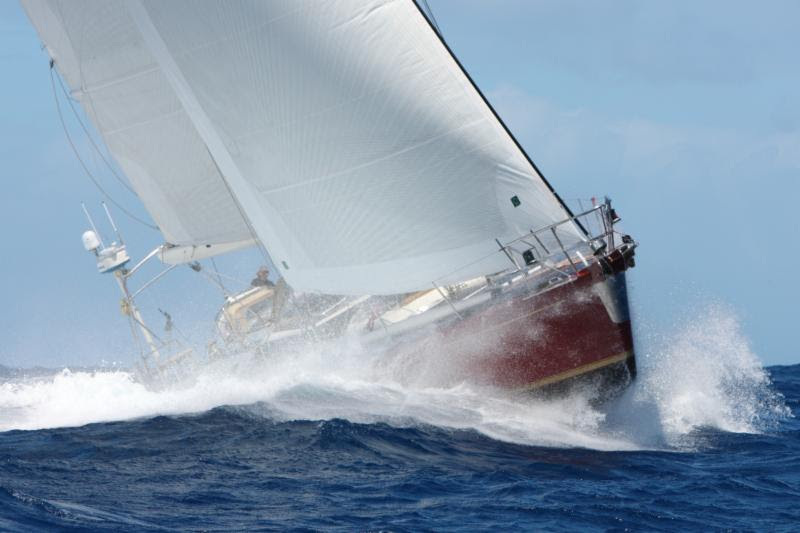 The 68ft ketch was once owned by Baron Marcel Bich of America’s Cup fame [co-founder of Bic pens] and is a cruising version of Kriter, his Whitbread Round the World Race yacht. :El Oro reported by satellite link that owner Tim Wilson is producing superb food for the 14-strong crew, supplemented by some fortifying beverages. El Oro has reached speeds of nine knots, very fast for a classic of her age and pods of dolphins have been joining in the fun! Les Crane, Race Chair and skipper of Farr 56, Monterey has been in touch via satellite: “Coasting along – It’s wonderful out here. Eleonora off our starboard quarter; a mass of sail. Freya is just passing us three mile west. Whither the Spirit of Bermuda? Where have the Fates carried her?